A plaque, erected as a Centenary of Federation Project in 2001, commemorates the tree blazed by Frederick Walker at Camp 23 in 1861. Walker led a team from Rockhampton to the Gulf searching in vain for the missing explorers, Burke and Wills. In 1861 Walker led a party in search of the ill fated Burke and Wills expedition. His meticulous journal of the search has been transcribed. 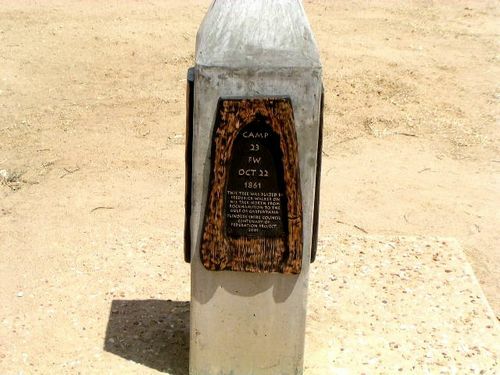 However Walker failed to locate Burke and Wills and their party, arriving in the Gulf of Carpentaria ill, and died at Floraville Station on his return journey.